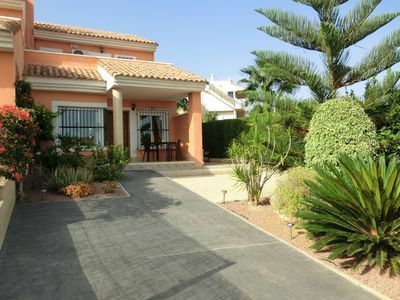 This semi –detached property is ideal for larger families or groups of friends travelling together. 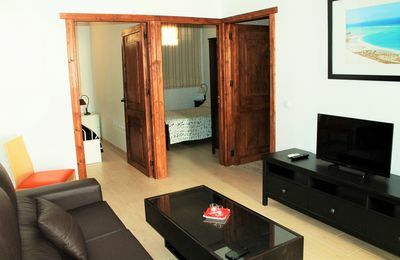 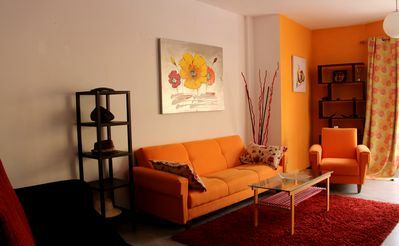 It has been nicely renovated and built like two apartments, one on each floor. 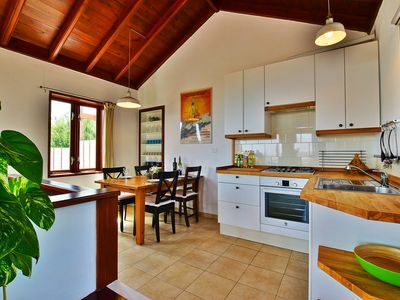 Despite the units not being self-contained each floor has a living area, kitchen and bedrooms. 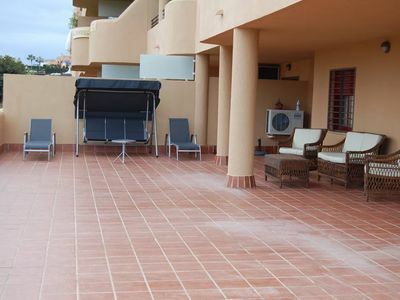 On the ground floor guests will find a living room , modern kitchen and four nicely appointed bedrooms, on the higher floor there also is a living area kitchen and two additional bedrooms. 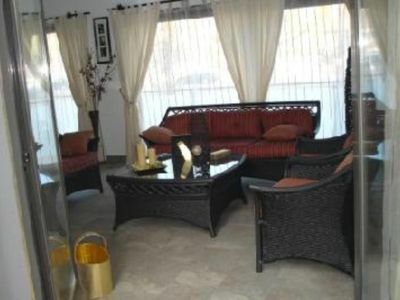 Both bathrooms however, are located on the ground floor of the house. 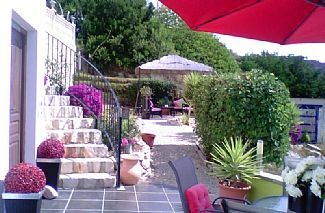 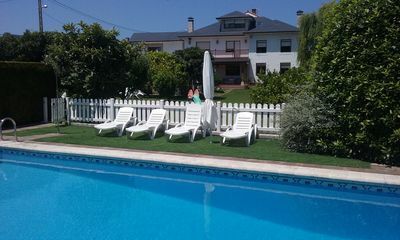 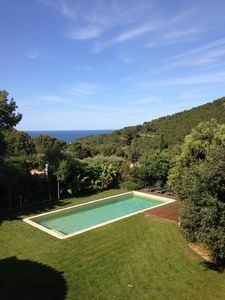 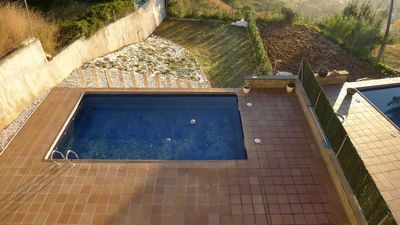 The house has a pleasant garden, with covered terrace and a lovely pool. 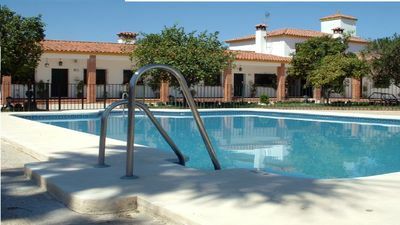 The house ia only a short walk from the centre of Fueringola where you will find ample choice in shops, restaurants and the beach of course. 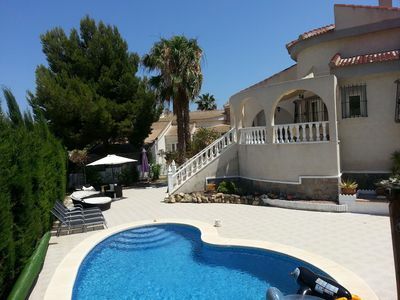 Easter Reduced to Euro 2,250/Week. 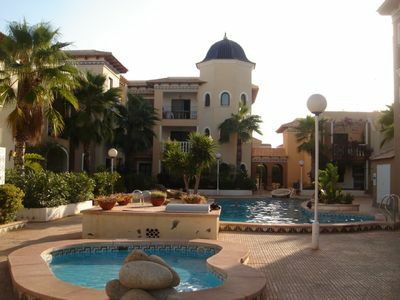 Ground floor apt 2 bed/ 2 bath, 1min from shops restaurantss, 5 mins beach. 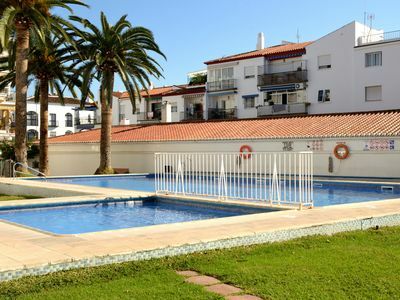 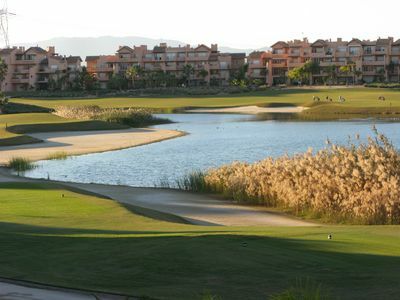 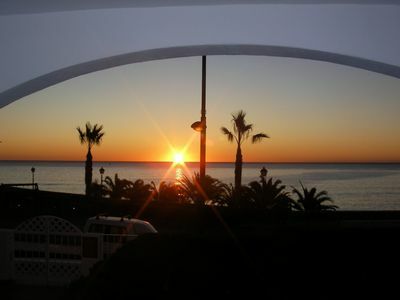 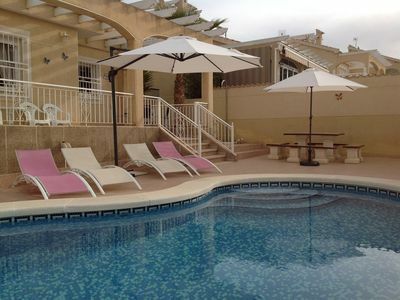 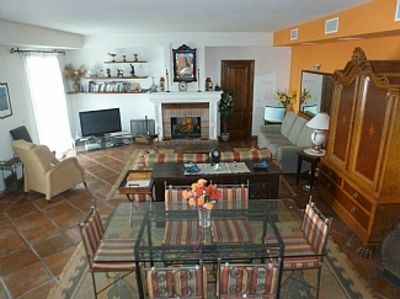 Cala De Mijas: Beautiful appartment a few meters from the sea.